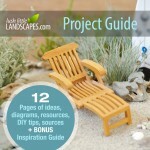 You are here:Home / Uncategorized / What Makes a Lush Little Landscape Different? 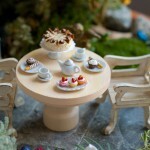 I do things differently than many miniature and fairy garden creators. I love a lush garden. What makes a garden lush? 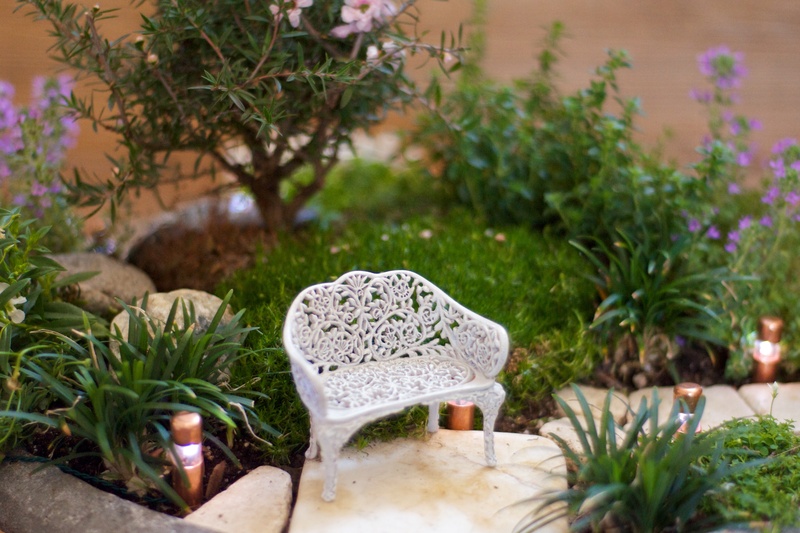 I look at photography and gather inspiration from life-sized gardens. That’s why I include photos of inspirational full-scale landscapes in my guides. It’s like a painter – you have to observe your subject before you can interpret it in a smaller form. Make it artful! That means covering even the tiniest of spaces with aquarium gravel (black, white or natural), mini boulders, pieces of driftwood, stepping stones and accessories after filling with closely planted varieties of plants. Look at the layout of life-sized landscapes for inspiration. Create levels with retaining walls and stairs, paths that meander, different interesting points of view, a variety of textures and a variety of kinds of plants. Thoughtfully combine objects so they fit a theme and they match in style and scale. Don’t just put things together because they’re all miniature. Think about it like a landscape architect: does the style of these things match? Add something fun and unexpected. That’s always going to be something different – it all depends on the garden. Is it a tire swing? A colorful birdhouse? A wagon full of toys? An Airstream Trailer? Lawn gnome? 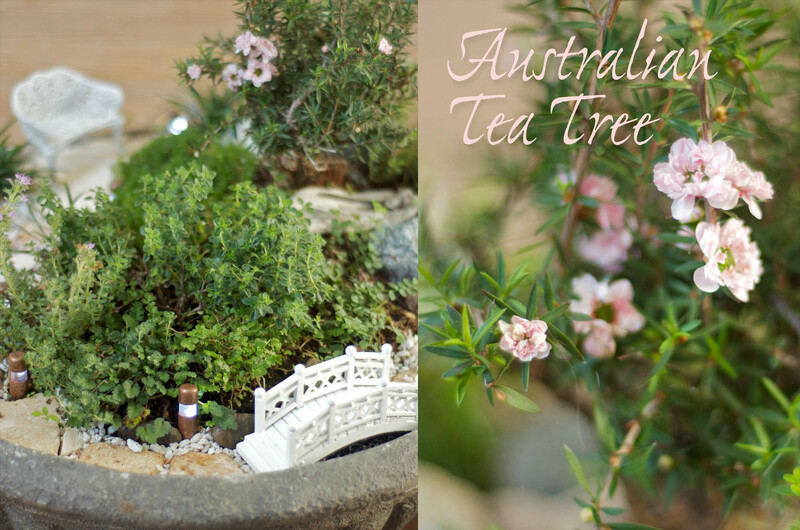 Trees can be made from English and African Boxwoods, Rosemary, Thyme, Conifers, Australian Tea Trees (which bloom in a really pretty way in a sunny garden). Trim away lower branches (look at real trees to observe growing patterns). Some trees have several branches attached low and then bush out. Some trees have a definite trunk and then the tree branches out higher up. Choose plants that don’t grow more than a few inches tall, unless they’re supposed to be a tree or meant to be a large bush. Look for densely packed small leaves and tiny flowers. Think about which plants you put together – don’t combine plants the need shade with plants that love sun and plants that love dry with plants that must be kept wet.